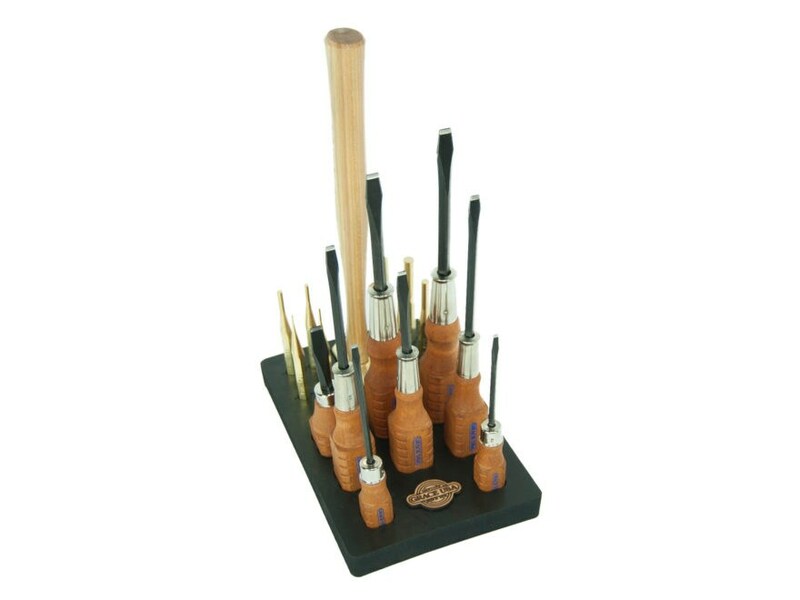 This is a 17 piece set of Grace USA Gun Care Screwdrivers, Grace USA Solid Brass Pin Punches, and a specifically fabricated Grace USA 8 oz Brass Hammer. This kit comes with a bench block that is designed specifically for each tool so that they are neatly kept in order and are readily accessible when needed for a specific task. The bench block is made of 60 durometer Neoprene rubber.